Prized for their durability and warmth, twill and denim Carhartt coats have long been popular workwear and outerwear. Wash your heavy-duty Carhartt coat according to special cleaning instructions, if you want the fabric to maintain its flame resistance and thermal integrity. While dry cleaning is suitable, you can defray that cost and inconvenience by washing the coat at home using these cleaning steps, designed to keep your garment sturdy and suitable for many years of use. Set washing machine water temperature to warm, ensuring that your Carhartt coat is cleansed in water below a temperature of 160 degrees Fahrenheit. Load capacity should be set at medium for one coat and large or extra-large for two coats. Add detergent which does not contain bleach or peroxide additives. Never add fabric softener to a load of Carhartt coats. Run the washing machine on normal cycle. Transfer coat to the dryer and set the dial to warm or medium temperature before starting the machine. 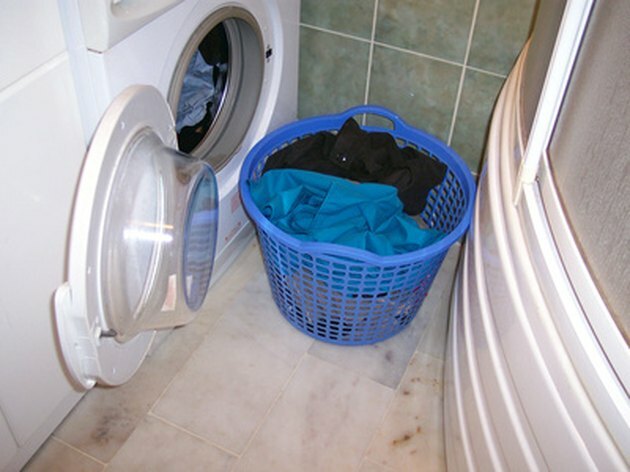 Remove dry coat from dryer and touch up with a warm iron if needed. Carhartt coats may be dry cleaned. Do not use starch or softeners when washing your Carhartt coat. Use of these may degrade the integrity of the flame-resistant fabric, posing a danger to electricians or workers wearing the coats for protection in utility, gas or oil fields.